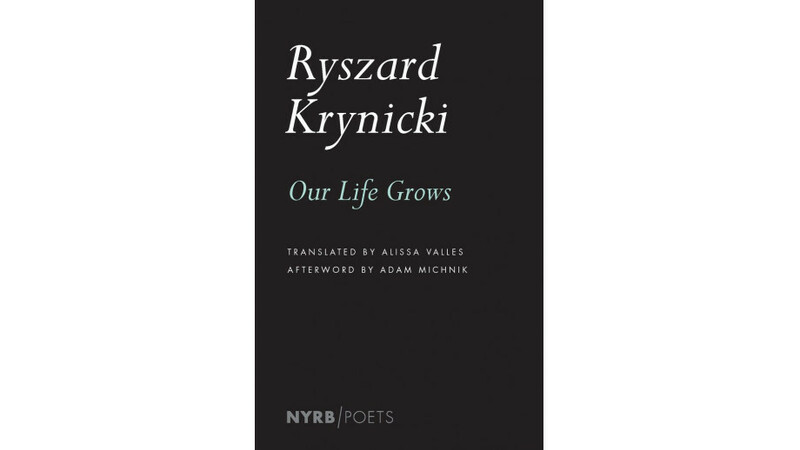 During the annual convention of The Modern Language Association (MLA), held from January 3rd-6th in Chicago, it was announced that the American poet Alissa Valles received the Aldo and Jeanne Scaglioni Prize for translating the volume Nasze życie rośnie ("Our Life Grows") by Ryszard Krynicki, published by New York Review Books with the support of the Polish Book Institute as part of the ©POLAND Translation Programme. The Aldo and Jeanne Scaglione Prize was awarded every two years until 2016, and since then, it has been awarded annually. Its most recent winners were Fred Bridgham and Edward Timms for the translation of Karl Kraus' The Last Days of Mankind (Yale Univ. Press, 2015) as well as Jeffrey Angles for the translation of The Book of the Dead by Orikuchi Shinobu (Univ. of Minnesota Press, 2016). The prize is awarded for "an outstanding translation of a literary work into English". Its financial value is $1000.